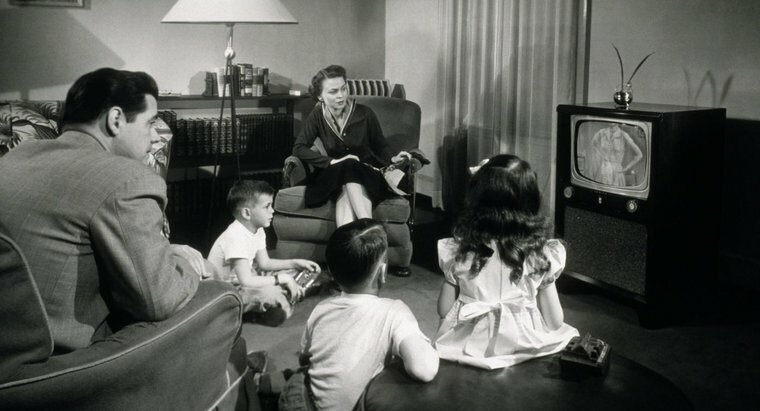 By the early 1950s as television had succeeded in dominating popular entertainment, financially failing Hollywood film companies were desperate to lure audiences out of their living rooms and back into theaters with enticements such as eye-popping Technicolor and sprawling wide-screen film productions that offered entertainment spectacles no boxy, black and white television screen could possibly match. In 1956 M-G-M won Special Effects Oscar nomination for its visually stunning science-fiction Cinemascope thriller Forbidden Planet, but instead the Motion Picture Academy Oscar was awarded to perhaps the most awesome special effects motion picture of all time—Cecil B. DeMille’s The Ten Commandments! 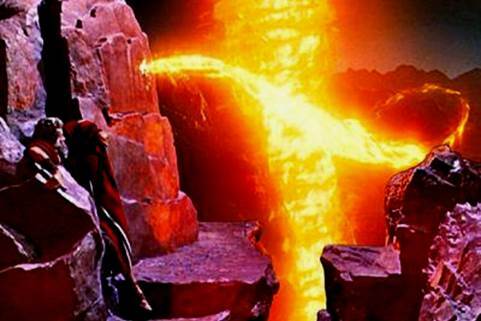 DeMille’s timeless Biblical epic, the culmination of his fifty year legacy of Hollywood film-making was a run-away box-office success that set the standard for block-buster motion pictures that endures to this day. 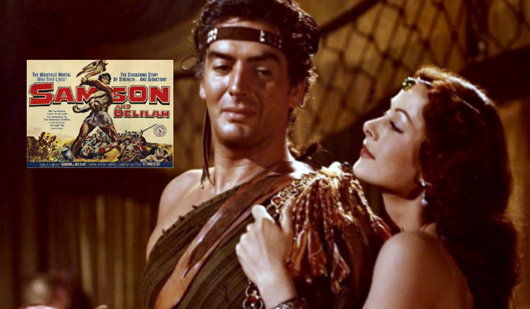 Considering his upbringing in the Episcopal Church DeMille was uniquely skilled at breathing dramatic life into cliché’ Sunday-school Bible stories, such as Samson and Delilah released by Paramount Pictures in 1949. 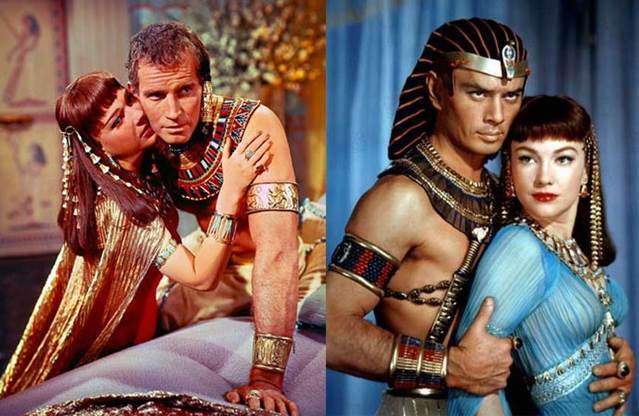 But Grandest of all his productions was The Ten Commandments, that since 1956 has become an indelible icon of American entertainment culture, so over the course of time generations of movie-fans have become intimately familiar with that film story; the life of Moses—from prince, to prophet to lawgiver—deftly performed by Charlton Heston. …one could argue the enduring magic of this film is the straightforward way the“ Lord’s miracles” were rendered cinematically. 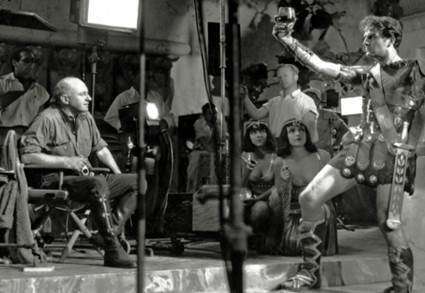 DeMille’s technicians employed every state-of-the-art special-effects process available in the early 1950s to bring the Moses story to life. For Paramount Pictures this was a make-or-break $13 million dollar gamble that luckily paid off. 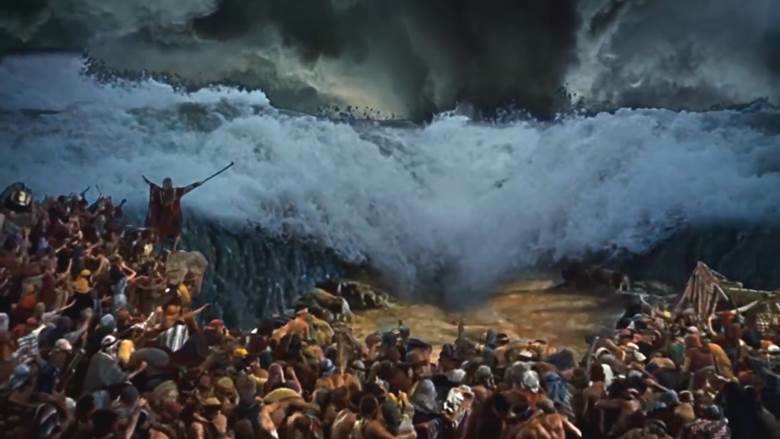 And to this day this film’s most visually stunning sequence—perhaps the most visually stunning sequence in all Hollywood history--is the “Parting of the Red Sea”. 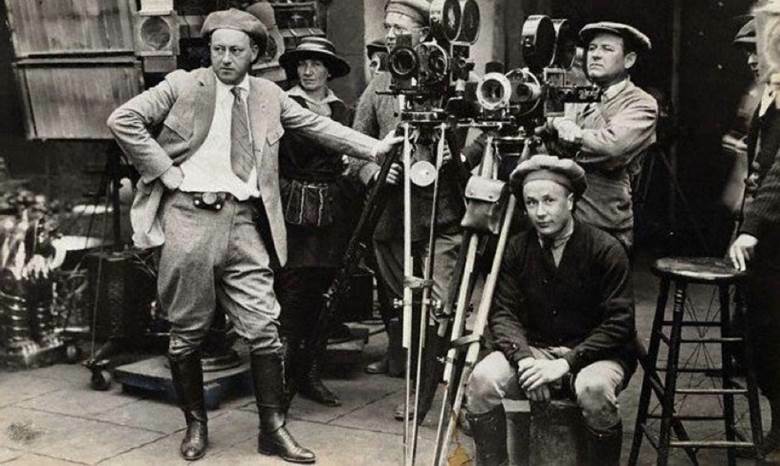 DeMille began his film-making career at the very inception of the Hollywood motion picture industry when the Los Angeles suburbs were open desert. Over the course of those early years he gained mastery of his directing craft when movies were silent and acting required more visual flamboyance than spoken subtlety—a style that persisted decades later into his ‘talkie’ productions as well. 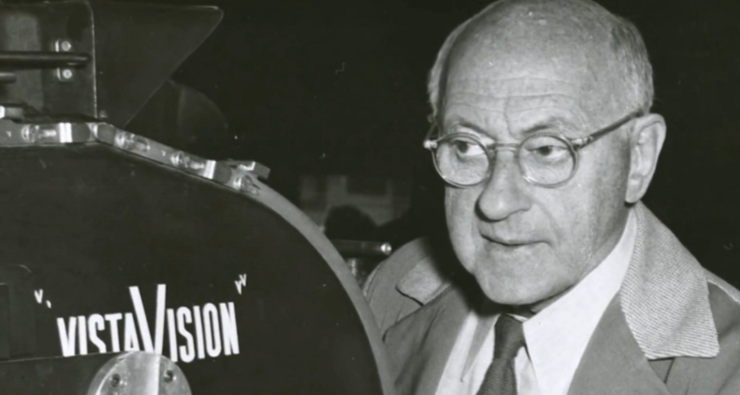 Yet while his critics bemoaned the stilted, old-fashioned acting performances in his film productions, his box-office profits commanded front-office studio executive respect. Over the decades DeMille’s name itself became a box-office draw. 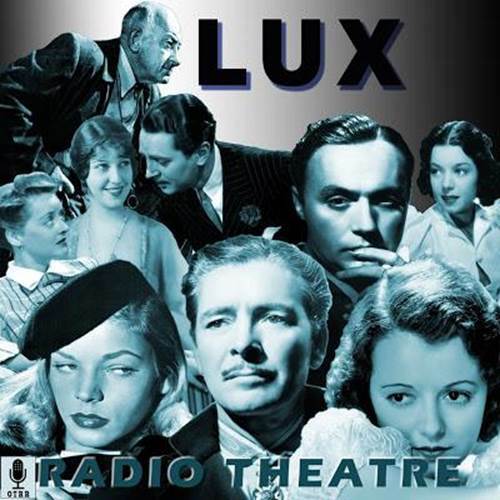 And with the advent of radio DeMille took over as the host of the popular Lux Radio Theater in June of 1936, which featured live radio adaptations of top Hollywood films featuring top Hollywood stars such as Marlene Dietrich and Clark Gable. 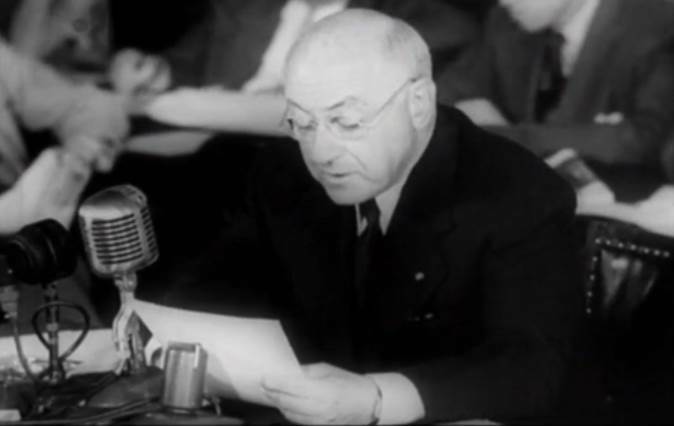 Over the following decade Cecil B. DeMille became a star in his own right by hosting the weekly Lux Radio Theater to millions of loyal listeners. But in the summer of 1944 DeMille ran afoul of his radio labor union; the American Federation of Radio Artists. The union was running a campaign against ‘right-to-work’ non-union employees and demanded a ‘one-dollar’ fee be assessed from its membership to finance that campaign. Seeing this assessment as a heavy-handed Union power grab and an infringement upon California labor’s right-to-work, DeMille refused to pay the one-dollar assessment and thus sacrificed his own Right to Work in radio and television. Consequently he lost a lucrative $100,000.00 annual income from the Lux Radio Theater. 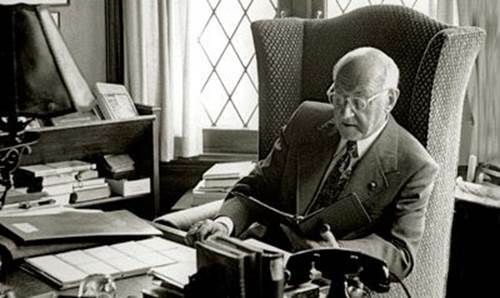 But fiercely conservative in his political views DeMille launched his own campaign to challenge the overbearing labor unions as well as growing post-war communist influence throughout the entertainment industry. “Can you afford to leave such power in any hands? In 1944, because I refused a $1 (one dollar) assessment to support a political stand to which I was opposed I was suspended by that other union. As a result of that suspension, I lost my Right to Work in radio and television. The loss of my radio job did not bankrupt me. But, it woke me up with a terrible jolt to my responsibility and your responsibility to work for legislation to protect men and women for whom a loss of a job might mean disaster. 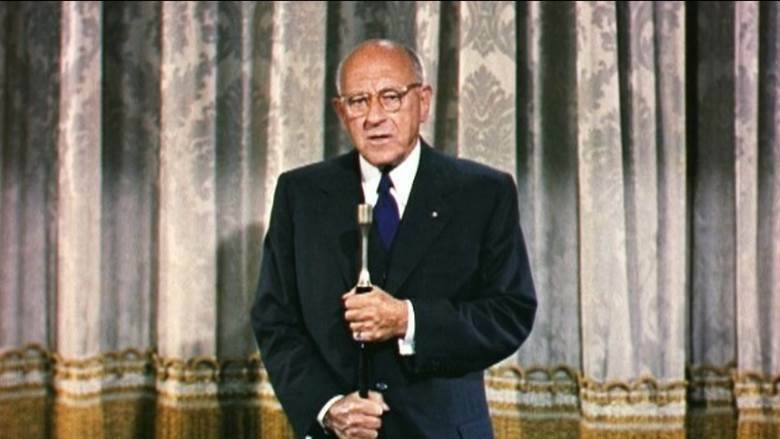 But rather than to allow himself to become enmeshed in partisan politics, DeMille chose to promote his political philosophies in a far broader context using the medium of film with which he spoke so eloquently. Thus with his last motion picture, The Ten Commandments; more than retelling a quaint Bible story, DeMille fashioned a cautionary modern allegory to warn against the rising global threat--the spread of International Communism. DeMille’s screen adaptation rather than emphasizing Hebrew religious sanctity focuses on the universal theme of human freedom. In 1956 indulging generous helpings of dramatic license DeMille refashioned the Old Testament story of Moses into a compelling adventure drama with an anti-communist political subtext that even today is more poignant and relevant than ever. 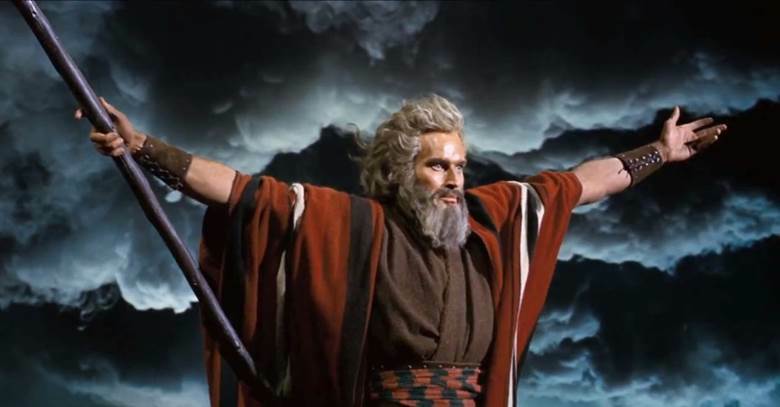 But rather than a weary white-haired cliché prophet, DeMille’s Moses is a virile super-hero, deftly wielding God’s miracles to defeat the ruthless Egyptian tyrant, Rameses II. In counterpoint, by 1956 America itself was threatened by a very real tyranny; aggressive Russian Soviet Communism. After the defeat of Nazi Germany in 1945, Stalin’s unchallenged Red army had gobbled up most of Eastern Europe; Poland, Hungary, Czechoslovakia, and a third of Germany. Communism would eventually consume all of China, North Korea, Vietnam and even a tiny island ninety miles off the Florida coast. 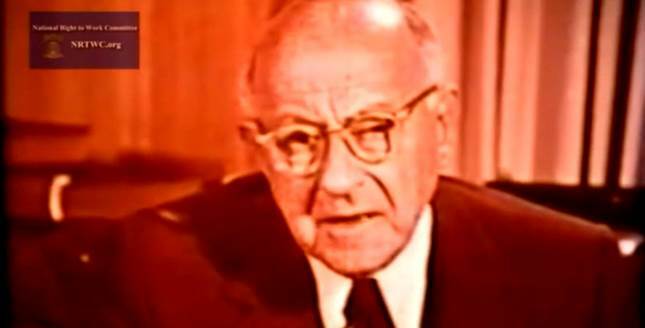 The surviving post-war Capitalist/Communist superpowers—the United States and Soviet Russia—were in the midst of menacing Cold War. 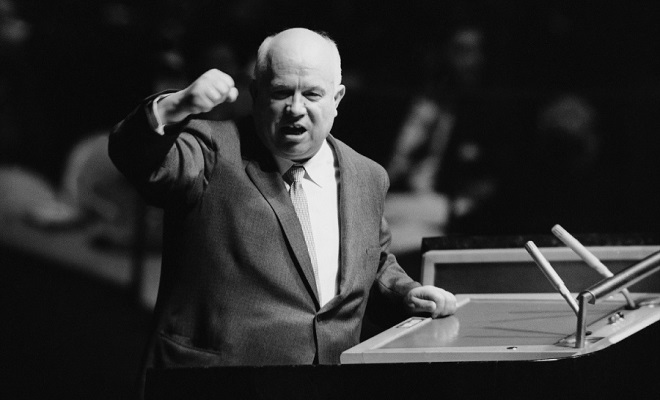 By 1956 belligerent hardline communist Nikita Khrushchev was acting premier of the Soviet Union and a clearly perceived threat to all of the Free-World. 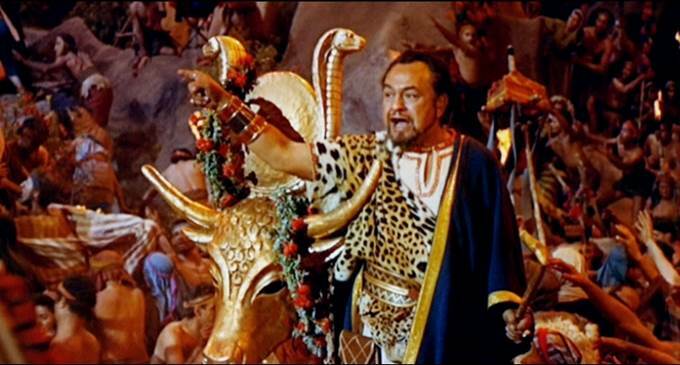 Thus it was no small irony that Cecil B. DeMille cast a Russian to play the menacing tyrant Rameses II in The Ten Commandments. 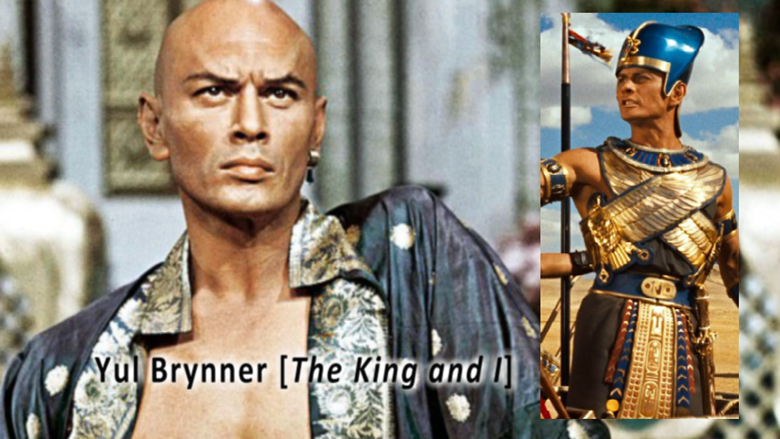 Actor Yul Brynner was having a successful run as the monarch of Siam in the King and I; a musical on Broadway. So impressed by Brynner’s performance DeMille immediately signed him to play yet another powerful monarch; the Pharaoh of Egypt. But aside from Communism’s ruthless brute force was its subtle and cunning subversion. 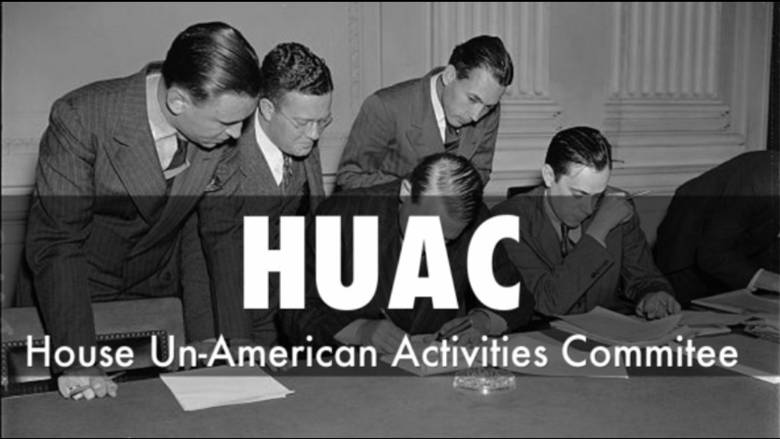 Such was a major political concern in the early 1950s, when Washington congressional subcommittees were aggressively investigating Communist infiltration particularly in the film industry. 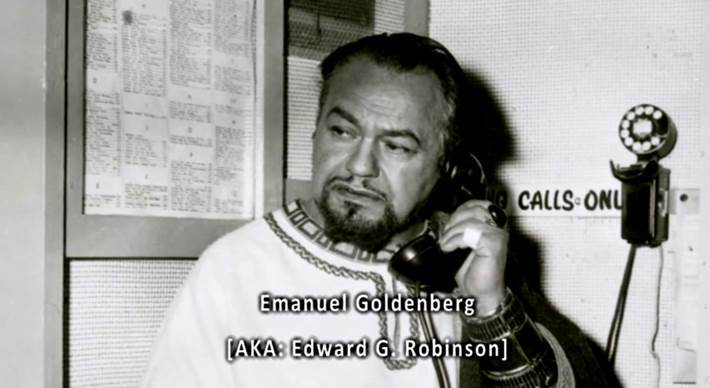 Although noted actor Edward G. Robinson had been acquitted of charges as a possible communist supporter his acting career had been virtually ruined. 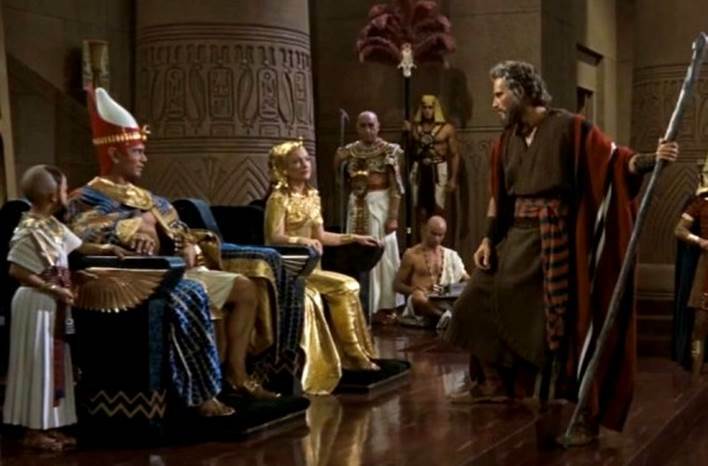 So it was yet another strange irony that DeMille hired him to play the evil Hebrew overseer ‘Dathan’ who throughout The Ten Commandments plays a persistent subversive antagonist to Moses not unlike a cunning communist infiltrator. 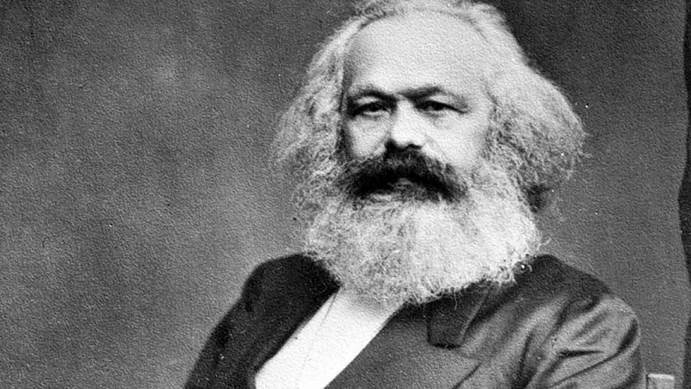 But perhaps the greatest irony of all is that the original architect of communism, Karl Marx was himself—Jewish! 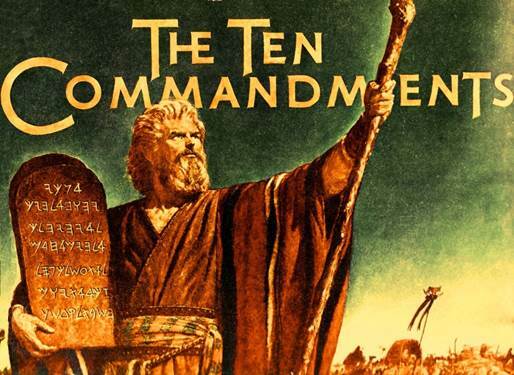 Although by today’s technical standards DeMille’s final film, The Ten Commandments may seem, after more than sixty years, a quaint relic of old fashioned motion picture production… but its central theme has become more relevant than ever. Despite the dramatic collapse of the Soviet Union in 1991 the covert spread of communism has become more virulent and insidious than ever. Globalism by any other name is still Communism! The rampant corruption that spreads today throughout our governing institutions, our mass-media and entertainment industry twists our guaranteed Constitutional freedoms into weapons of Constitutional destruction! At this moment humanity is locked in a struggle for its very survival. Never has it faced such a multitude of existential threats; social and environmental deterioration, belligerent imperialism, global nuclear weapons proliferation not to mention encroaching cybernetic tyranny. Never has humanity been in greater need of assistance from Divine intervention, than at this moment! 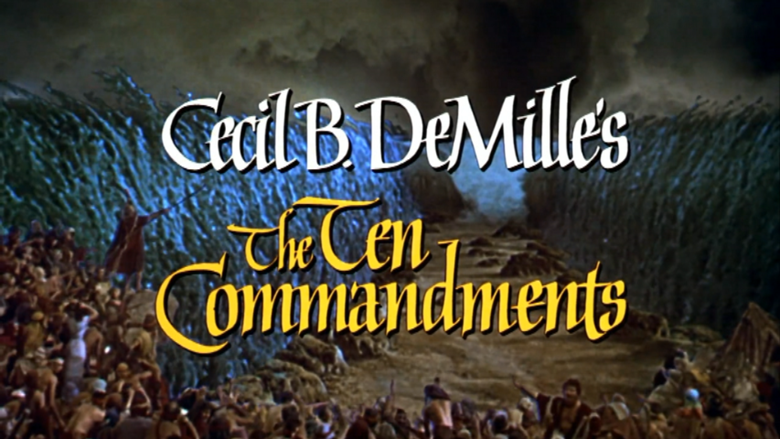 The Ten Commandments was Cecil B. DeMille’s last motion picture production. Yet despite failing health his interest in new film projects remained undiminished. 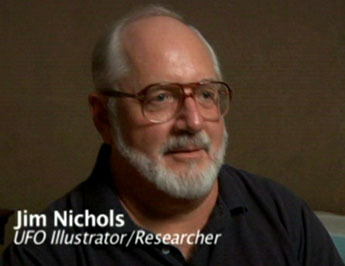 He even toyed with the idea of making a movie about outer space. 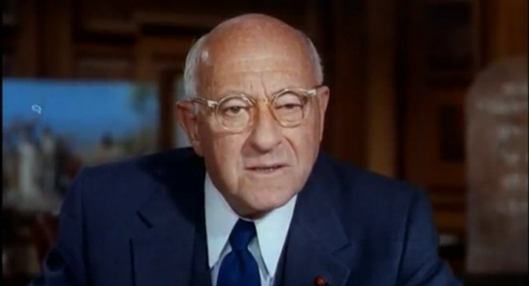 But, in January of 1959 Cecil B. DeMille died at the age of 77. 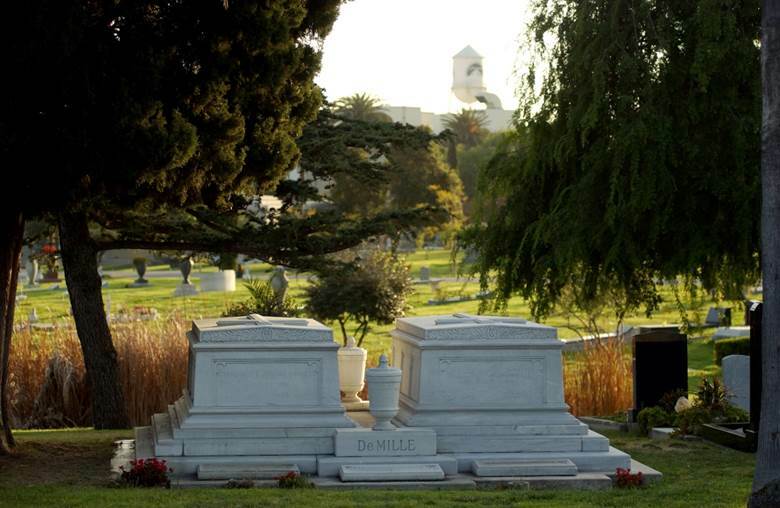 His final resting place in Hollywood overlooks the motion picture studio he helped to create. 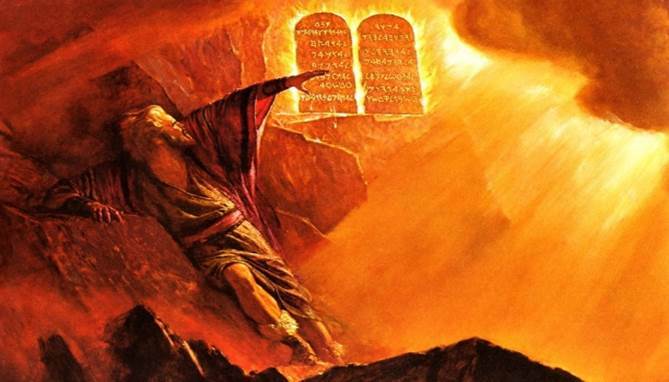 But his enduring legacy remains a motion picture that has become a timeless international inspiration—The Ten Commandments. “All this happened three thousand years ago, but we’re still fighting the same battle that Moses fought. Are men to be ruled by God’s law or are they to be ruled by the whims of a dictator like Rameses? Are men the property of the state or are they free souls under God? 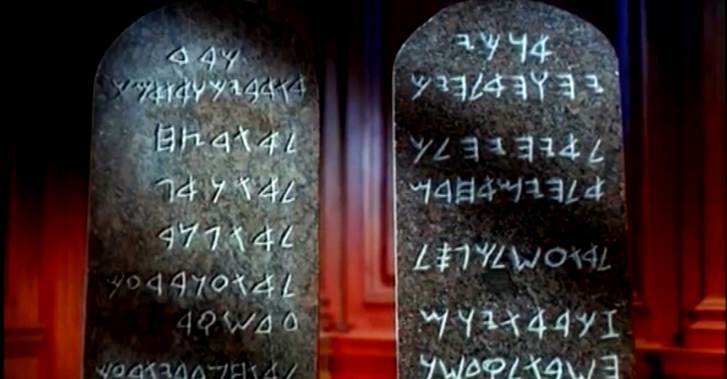 Way back in 1956 when I was but an impressionable third-grader my parents took me to see The Ten Commandments one Sunday afternoon at a grand, ornate movie theater in Toledo, Ohio. Only once a year would our family engage such a grand outing, but even as a youngster I sensed at the outset this was a very special occasion. The theater itself was like a huge ornate Byzantine temple out of the Arabian Nights which as well commanded a sort of overwhelming hushed reverence—the perfect ambiance for the film that was about to unreel. And in no time the curtains parted and with a riveting musical fanfare introduction the film began and for the next three hours I sat in rapt attention [no small feat you understand for a squirmy third-grader] as the story of Moses unfolded before my eyes on the wide screen. 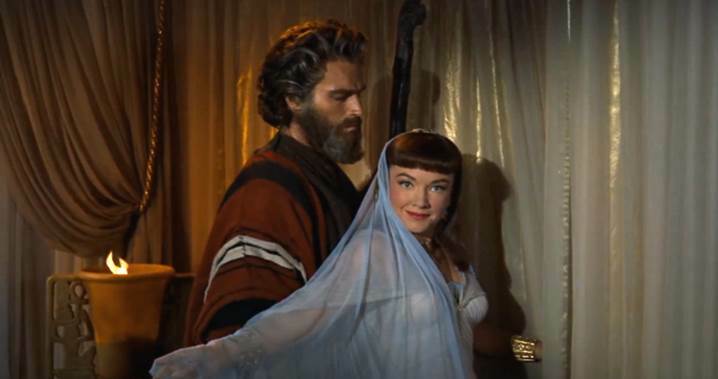 Despite being raised in a devoted Methodist family, Sunday school stories up to that moment had made little or no impression on my juvenile wits, but for me seeing The Ten Commandments movie for the first time was a truly transcendent experience--it made God absolutely REAL; understandably predisposed perhaps because my own grandfather was a fundamentalist minister and in our family Bible stories were taken as literal fact. In that regard I accepted the awesome Biblical spectacle I had just witnessed more as a real-life documentary than mere Hollywood fiction. 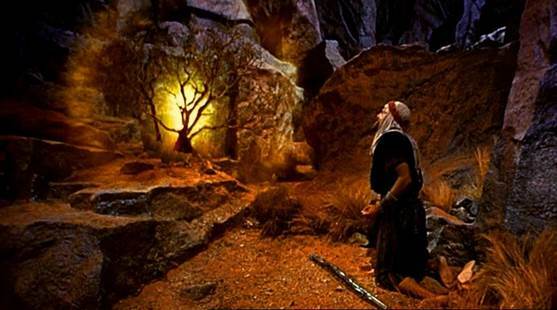 The Moses movie monopolized that entire Sunday afternoon but even as the theater lights went up I didn’t want the movie to end; my mind still reeling from the overpowering images I had just witnessed. Yet as my father ushered our huddled little family to exit the auditorium, I gathered my wits enough to realize souvenir Ten Commandments brochure booklets were for sale at the concession stand. In desperation I begged my father to purchase a copy, and he generously and fortuitously obliged. Little did I realize, but that brochure; that souvenir memento would one day spark my own ambition to become an artist. 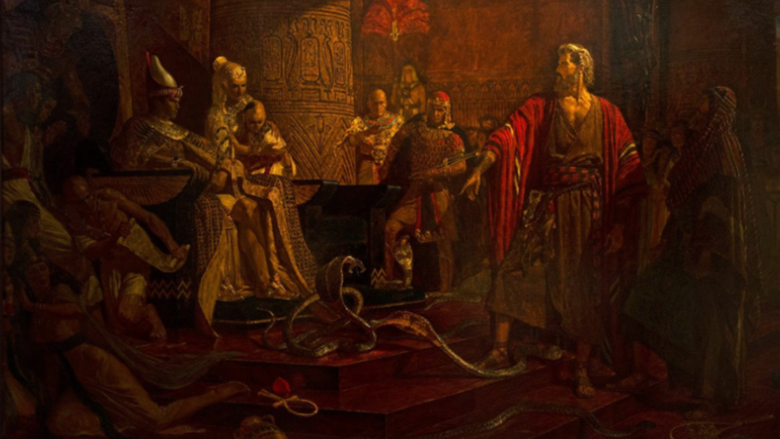 Very early in pre-production of the motion picture The Ten Commandments, Cecil B. DeMille realized he required the skill of an extraordinary artist to bring the story of Moses to life visually and he discovered just such a gifted artist living in Utah by the name of Arnold Friberg. Friberg had already gained notoriety as a gifted Biblical artist working for the Church of Latter Day Saints. 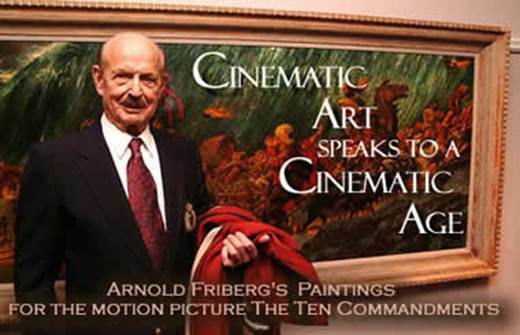 But so impressed by Friberg’s skill, DeMille hired him to come to Hollywood and work full-time on the production of The Ten Commandments where he provided sketches, watercolors and oil paintings designing costumes, sets and dynamic illustrations of the Bible story’s sprawling epic drama, particularly the parting of the Red Sea. From 1953 to 1956 Friberg labored diligently to produce an extraordinary body of work, meticulously researched to bring vibrant authenticity to the film’s imagery. 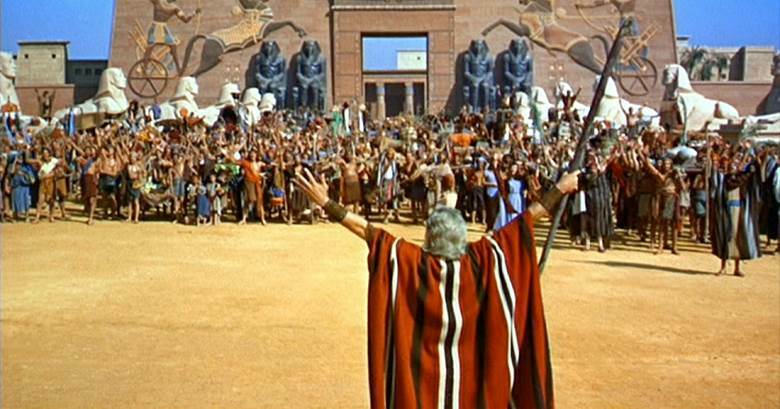 Ultimately a series of his massive oil paintings, each depicting key scenes in the life of Moses were reproduced in a special souvenir book that was sold at the film’s original release. And thus it was, from the powerful visual illustrations contained in the pages of that treasured souvenir book that my own ambition to paint pictures that tell-a-story evolved. 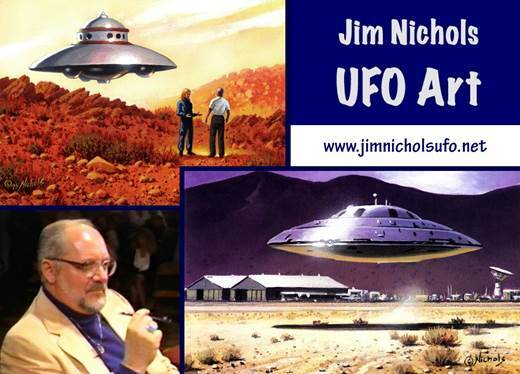 Copyright 2019 James H. Nichols. All rights reserved.